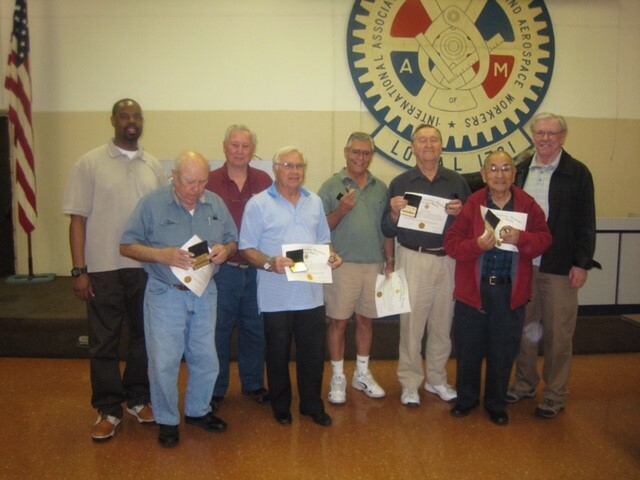 Lodge members, flanked by vice-president Olu Atejomobi (L) and retiree committee president Jerry Nelson (R), in 2014 who were awarded IAM gold cards, diamond pins and a Grand Lodge certificate honoring their 50 years of membership in our union. This organization is known as “Retirees Association of Local Lodge 1781.” We believe that all elderly Americans can render a service to themselves and the community and that we are organized as a social, economic and legislative group. Eligibilty for Membership: Any retired or active member of the IAM and their spouse.